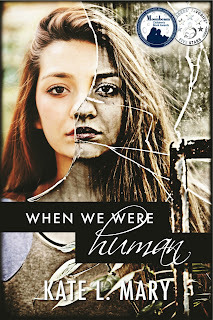 When We Were Human is a YA Post-Apocalyptic/Sci-Fi and the 2015 Moonbeam Children's Book Award Silver Medalist for YA Fantasy/Sci-Fi Fiction. The ebook usually retails at $3.99 but is on sale from now until November 18th for only 99 cents! Get it at Amazon! 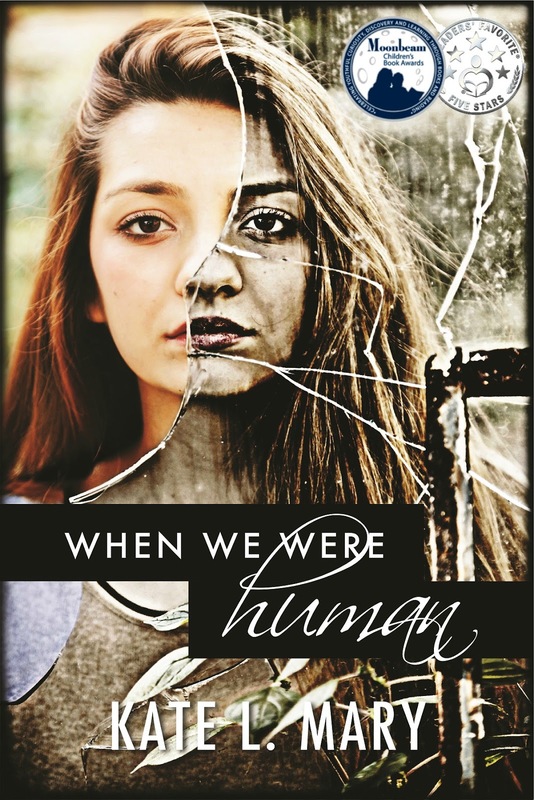 Eighteen-year-old Eva has spent the last year punishing herself for her sister’s death and hiding from everyone she comes into contact with, human or otherwise. With the population destroyed and the Earth left in ruins, she sees little hope left for the future. But when she crosses paths with Walker and Tara something inside her awakens. Something she thought had died along with her entire family. In these new friends Eva sees a promise of what the future could be, as well as evidence that humanity might not be extinct after all. When a ghost from Eva’s past makes an unexpected appearance, the group sets out on a cross-country trek that will teach Eva how to love and hope again, and will remind her what it truly means to be human. 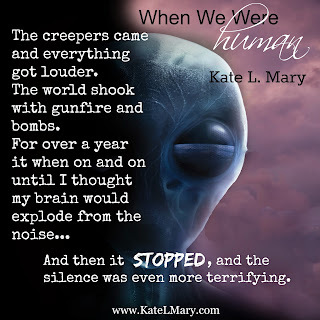 Kate L. Mary is a stay-at-home mother of four and an Air Force wife. She grew up in a small town just north of Dayton, Ohio where she and her husband met at the age of twelve. Since their marriage in 2002, they have lived in Georgia, Mississippi, South Carolina, and California. 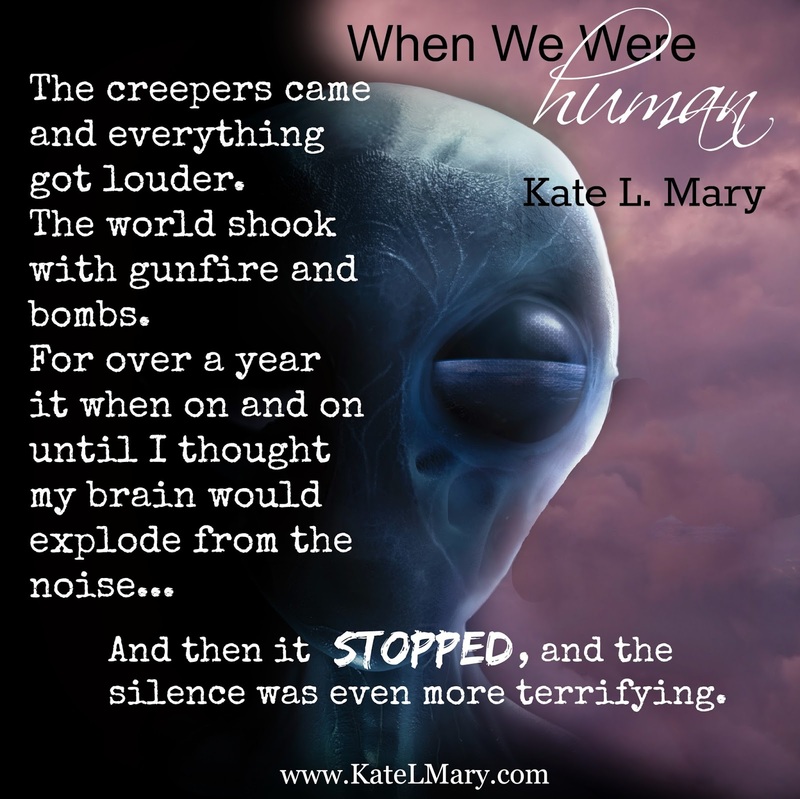 Kate enjoys any post-apocalyptic story - especially if zombies are involved - as long as there is a romantic twist to give the story hope. Kate prefers nerdy, non-traditional heroes who can make you laugh to hunky pieces of man-meat, and her love of wine and chocolate is legendary among her friends and family. She currently resides in Oklahoma with her husband and children. Happy Book Birthday to the Woodland Creek Series!